Hey Everyone! How is your Summer going? I am trying to involve as much fresh fruit and no-hassle desserts in my Summer as possible. 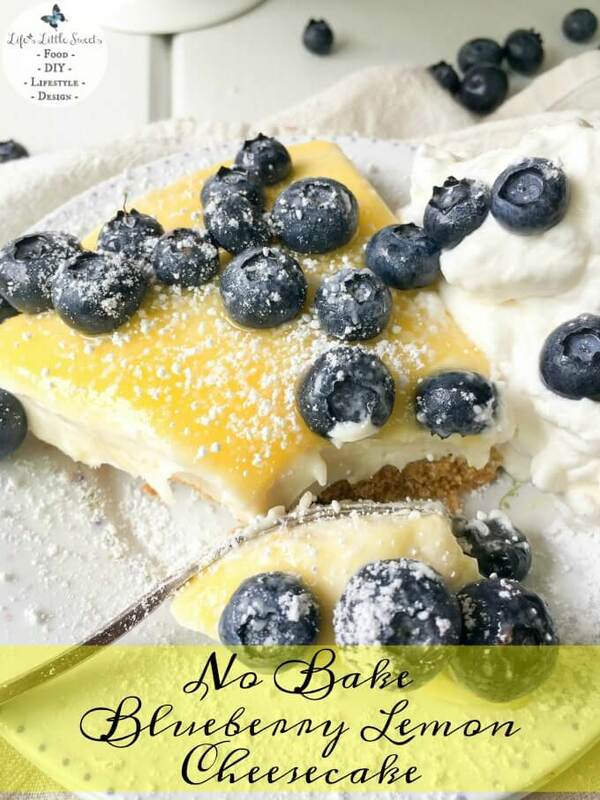 I want to tell you about this No Bake Blueberry Lemon Cheesecake that I contributed to the SoFabFood blog this month. Read on to hear more! Let me tell you this cheesecake freezes well too! Just take it out about a half hour before you want to serve. It’s so good when it’s chilled after being frozen too. We drizzled my Homemade Chocolate Shell on it for an amazing dessert experience. To get the full, printable recipe, head on over to the SoFabFood blog! Enjoy! Have you made a “no bake” dessert before? What is your favorite kind? Let me know in the comments below!